Improve the efficiency of your business management and financial management with convenient CRM & operational tools. Take control of your project processes. 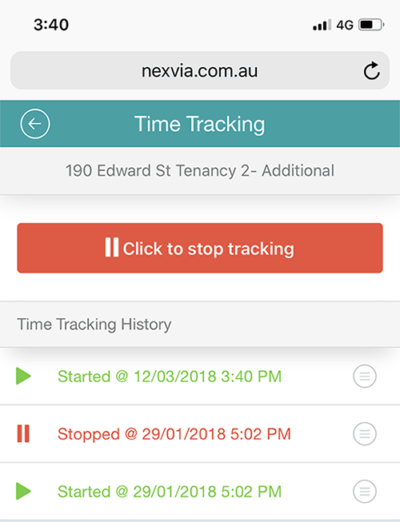 One of Australia’s most innovative construction ERP systems, Nexvia project management software combines customer relationship management and document management in one easy-to-use system. Use estimating tools to get projects ready for tendering. Manage your project development even from the office. Remotely connect with contractors & clients in one place. Receive real-time, project specific production updates. 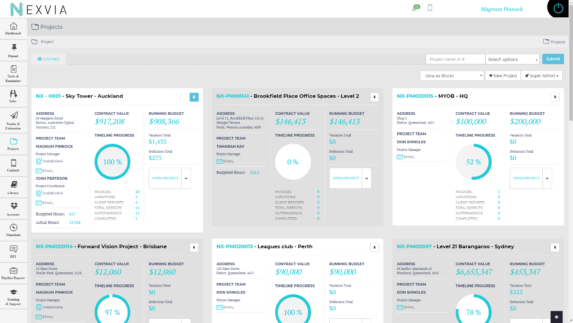 Maximise work flow operations using integrated CRM tools. From early cost studies through to the generation of budgets for tenders, Nexvia takes the hard work out of your estimating and tendering process. Accurate estimating can improve your profitability and ultimately keep your business in business. In order to achieve accurate estimating, you need logical and efficient processes in place. As technology advances, the construction industry is welcoming new estimating and tendering methods that can maximise efficiency, minimise risk, and improve profitability. This is where Nexvia comes in. Nexvia makes it easier than ever to stay across your company’s projects. With our simple, real-time estimating and tendering, you can create comprehensive estimates and budgets, select rated and local contractors, send and track tender invitations, and more. Project management involves more than just keeping an eye on payments and workflows. From communicating with contractors and vendors to making sure your crew is working to schedule, construction project management can be overwhelming. Luckily, we have a solution to make things easier. The Nexvia Project Management feature takes the stress out of managing your construction projects so you can look forward to improved accuracy, productivity, and efficiency for your business. Keep track of your projects and take control with confidence thanks to the Nexvia Project Management feature. 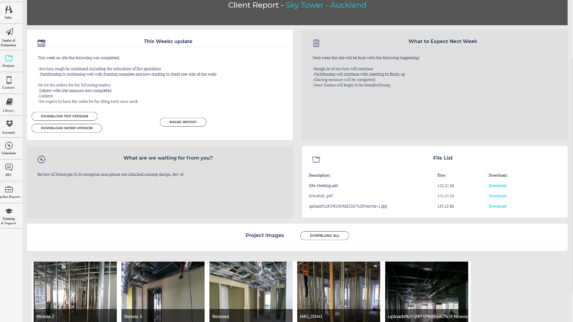 Facilitate transparency and trust with your contractors and clients with Nexvia’s Contractor and Client Portal feature. 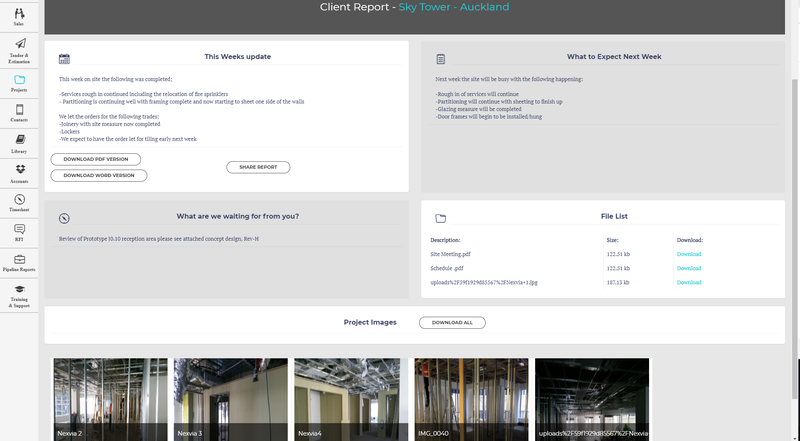 With easy 24/7 accessibility, our Contractor and Client Portal feature encourages improved communication, increased efficiency, and maximised customer relationships. Maintaining communication with customers while managing a construction project can be overwhelming. 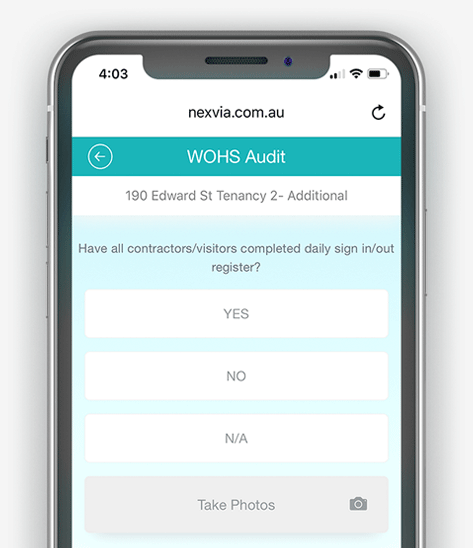 Nexvia makes it easier than ever to stay connected on one platform, giving your contractors and clients access to every detail throughout each project stage. 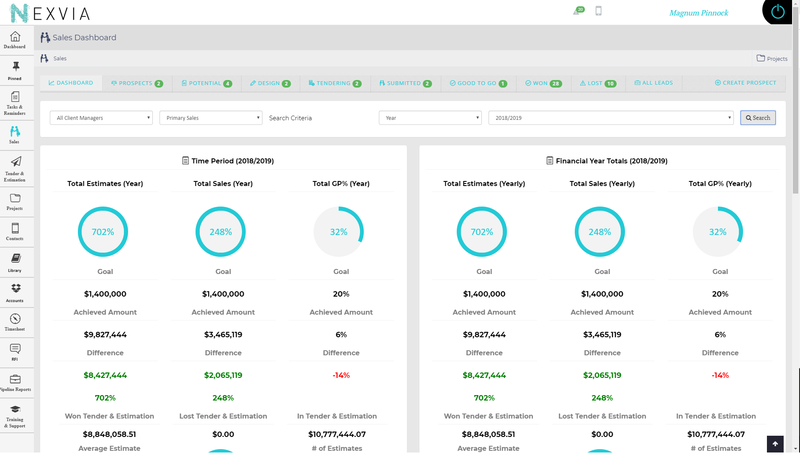 The Nexvia Contractor and Client Portal feature has everything you need to create transparent workflows and improve efficiency for your business and your customers. Take control of your factory planning and scheduling with Nexvia’s Factory Management feature. From stock management and quality assurance to payroll and OH&S, the real-time Factory Management feature has everything you need to increase project visibility and manage risk across your factories. 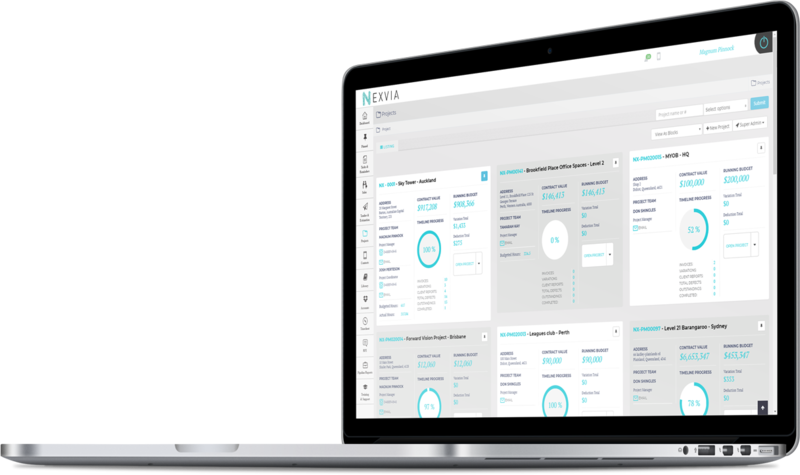 The Nexvia Factory Management feature is designed to take the hard work out of managing your factories, streamlining processes to increase efficiency and reduce risk for your business. Maintain positive customer relationships with the Nexvia’s CRM and Operational Tools feature. This customer relationship management software supports your business in providing smart customer solutions. Managing customer relationships is key to the success of your business. The Nexvia CRM and Operational Tools feature allows you to effectively understand and meet your customers’ needs and maintain their satisfaction from beginning to end. This can lead to higher customer retention rates and a healthier bottom line for your business. Look after your customers with the Nexvia CRM and Operational Tools feature.